This content was originally posted on hottytoddy.com as “Ole Miss Student Helps Film WWII Documentary During Internship in France” and has been reposted with the author’s permission. Many Ole Miss upperclassman apply for internships every summer to grow and gain new job experiences. One student in particular never predicted she would be working alongside professional cinematographers in a foreign country this summer. 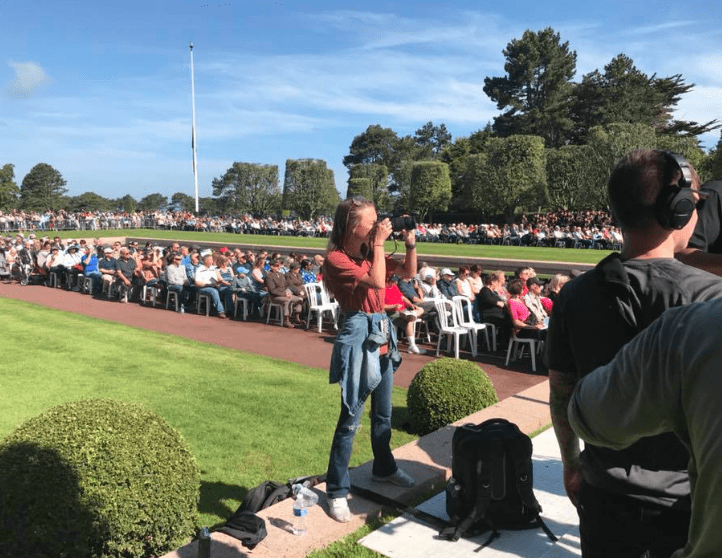 Senior Savannah Woods, a double major in integrated marketing communications and broadcast journalism in the Meek School of Journalism and New Media, recently returned from her monthlong internship abroad in Normandy, France. In February 2018, Woods was introduced to Producer Christian Taylor, a Laurel, Mississippi native who is currently living and working in Chicago. After connecting, the two worked together filming World War II interviews in Mississippi. This blossomed into a relationship where Taylor and Woods stayed in contact regularly. 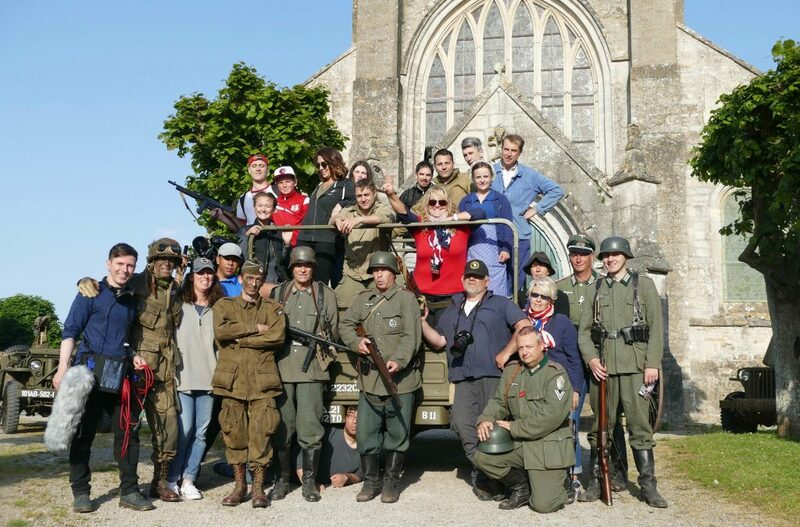 In April 2018, she received the call from Taylor offering her a spot with Taylor Productions LLC and Reverse Negative Studios to work on filming a WWII Documentary, “The Girl Who Wore Freedom.” This documentary film follows the German occupation of Normandy and the liberation of the French people. It is told through stories of the French who lived during this turbulent time and still speak of a love affair that bonds generations to their American liberators. Woods was overseas from mid-May to the end of June helping film and record stories in France. Her job consisted of running multiple social media accounts for the project and working as a camera assistant. She credited three family members for playing a pivotal role in her interest in World War II. Her great-grandfather, John West who served in the United States Navy aboard the USS Strong, her godfather, Hugh Shell who served in the battles of Okinawa and Iwo Jima with the United States Marine Corp, and her great great uncle, Walter Asberry York who served as a Tech 4 in the 746th Tank Battalion in Normandy, France. 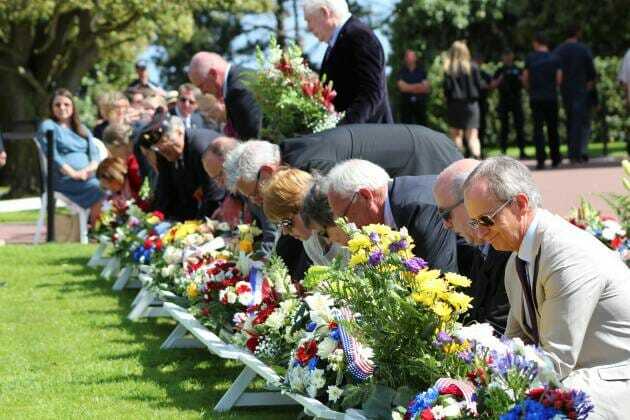 While filming, the crew covered all of the events the French host to honor American WWII Veterans. They attended memorial services, D-Day ceremonies, the Normandy American Cemetery, Omaha Beach, Juno Beach and Utah Beach. The crew also went to the Normandy WWII International Film Festival— an event they hope their film will be featured at in June 2019. Woods says after living abroad and working with the crew, she has gained more job experience. Woods, who works and films for Ole Miss Football Video, says she has many new skills she wants to apply to her job and school this year. Now that the team has returned to the States, the crew is currently working in Chicago in post-production. 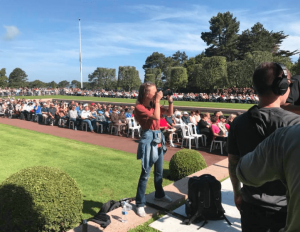 “The Girl Who Wore Freedom” documentary is set to premiere in Normandy, France June 2019. Savannah is an Arkansas native, currently residing in Oxford, MS where she studies at The University of Mississippi. 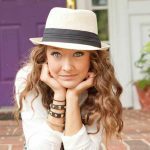 She is pursuing degrees in Integrated Marketing Communications and Journalism. She feels passionate about people and the power of storytelling. She credits two family members for playing a pivotal role in her interest in World War II. Her great-grandfather, John West, served in the United States Navy aboard the USS Strong, and her god father, Hugh Shell, served in the battles of Okinawa and Iwo Jima with the United States Marine Corp.
Savannah, I am David’s cousin by marriage. My father, Richard Troupe was a tank commander in France in WWII. I have some old photos from the war and Paris after liberation. I would love to keep in touch for the release of the film you worked on.I remember my Dad telling us that one of his sad memories was rousting the French people from their beds to rest in their homes. I have heard a lot about you! Wow. It sounds like your father was an amazing man. I would love to hear more about his story someday. I will be sure to keep in touch with you and make sure you are informed about the film. It is set to premiere June 2019. Thank you for reaching out and for your comment. This is a wonderful story! So thrilled to see another from right here in Cabot, AR sharing about the great sacrifices of our World War II Veterans. Amazing people come from here. My father is an American Hero from Pearl Harbor (Lifeline:Pearl Harbor’s Unknown Hero). My dad, Joe George, lived and died right here in Cabot, AR so to see that you are out there sharing the stories and sacrifices from our soldiers in Europe just makes me ecstatic. So many stories to be told and every last one of them are worth telling!! 😀🇺🇸🎖. Thank you Savannah for being one of those young people who are doing that! You are a blessing! ❤️👍🇺🇸 Amazing and wonderful, and heoric people come from right here in Cabot! !